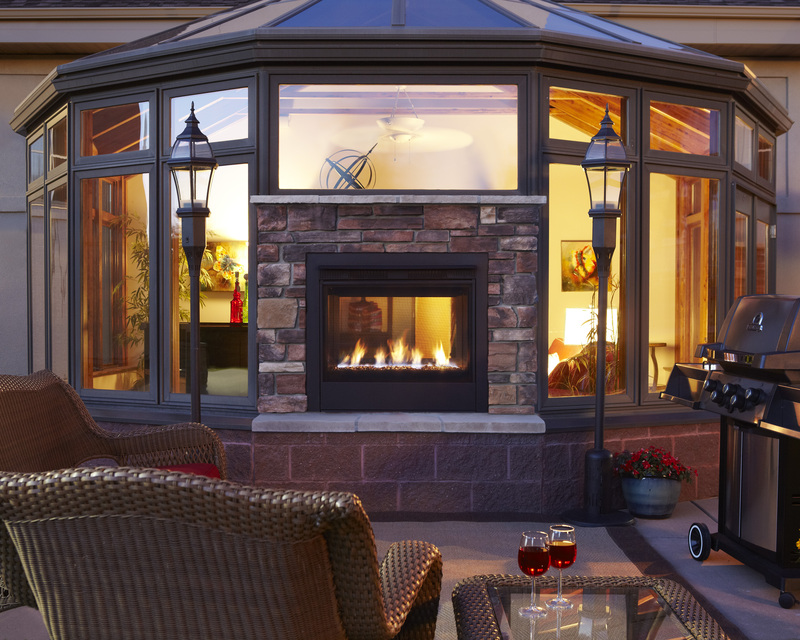 Now homeowners can have their fireplaces outside as well as inside. With modern fuel and venting technology, homeowners can enjoy their fireplace while relaxing under the stars. Here are just two fireplaces that are perfectly suited for the outdoors. The Twilight Modern from Outdoor Lifestyles by Hearth & Home Technologies taps into two major trends: contemporary design and outdoor living. This indoor/outdoor see-through gas fireplace provides an elegant setting whether relaxing inside or socializing outdoors. Made from stainless steel, the Sapphire Gel-Fuel Fireplace by Outdoor GreatRoom Company is a portable wall-mount fireplace. It can easily be placed in the living room during the winter and then outside on the patio during the spring. 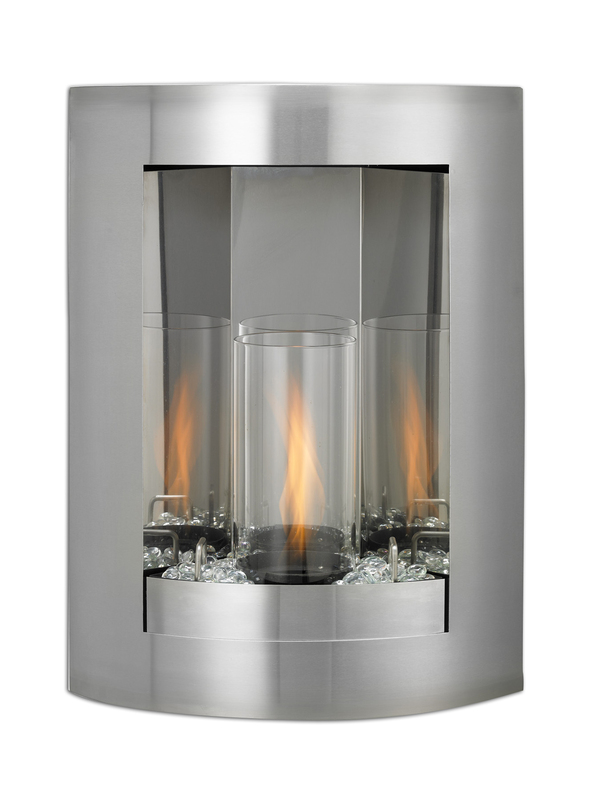 This wall-mounted fireplace runs on clean-burning gel fuel and looks stunning in any setting.